Last edited by HCA Adoptions on Fri Jun 02, 2017 4:03 am, edited 7 times in total. My name is Deb. I live in Southwestern PA, near Pittsburgh. I am willing to travel 1 hours to pick up HC's who are in need of a safe place to call home. I am willing to split shipping. You can contact me at whitewoodd at gmail.com. I have been caring for HC's for over 17 years. Now my big kids are in college and my 7 yo son and I enjoy the crabs a lot. I have four tanks. (90g, 75g, 65g, 30g) Currently I have 29 crabs, PP's and E's. Each of my tanks has at least 6" of playsand/EE mix, bubblers in the salt & fresh water pools, plenty of fake plants to crawl on, moss pit, climbing logs, coconut hides, play wheel, fresh & dried food daily, and plenty of extra shells of all different types in each crabitat. Humidity between 85-95% and temperatures controlled by thermostats on the Ultratherm UTH's. Each tank has a UVB light inside the tank as well. The folks at each of the local Petco's know me by name and call me when they have someone drop off HC's to be adopted out. I have also told them they can give my email address to clueless patrons for me to help them properly set up a healthy environment for their crabs. I have been asked by two local pet rescue organizations to set up tables during their events to educate folks about caring for HC's. Finally, I maintain a crabitat in a preschool. I aim to educate the children (and their parents) about the true needs of HC's before they go to the beach and bring one home unawares. One preschooler talked her cousin (well, probably the cousin's mom) out of buying a hermit crab at the beach this summer because of the care she was able to tell the family that the crab would need. So if you are in need of a safe landing place for your hermit crab, please feel free to contact me. Last edited by Akamistyeyes on Sat Jun 30, 2018 10:55 pm, edited 1 time in total. I am planning on starting a 10 gallon hermit crab habitat soon. It will be my first. I live in central NJ. Last edited by Apple26 on Sat Jun 30, 2018 3:12 pm, edited 1 time in total. Hello! I am in the East Stroudsburg PA area but travel(and have someone else) who travels Northern Jersey. Wayne/West Milford area. I have a 55gal with 7 cabbies. They have lots to climb on with 8 inches of coconut fiber to dig in. I feed veggies, fruits, freeze dried shrimps, and other good foods as well as some store bought food. I'm working on adding a second level for them to play on and will gladly add any new members to my little crabby family. I'm willing to travel a little bit. All my crabs have had many successful molts and have saved one who had no claws. He has grown them both back my tank stays about 78% humidity and 76-80 degrees F.
Last edited by GamerGirl117 on Sat Jun 30, 2018 2:54 pm, edited 1 time in total. Thank you to those who trusted me with the care of their crabs. I ended adopted two more crabs who are doing great and I am now at full capacity. Last edited by Brian_T on Sun Jul 29, 2018 1:59 pm, edited 1 time in total. I live about 40 minutes from Oxford, PA on the border of MD and DE. I am willing to drive almost anywhere in PA to help with adoptions or rehoming. Hi if anyone is needing to rehome their Hermit Crabs please let me know will be happy to provide them a home with my crabs I currently have. I'm willing to drive anywhere within the Northampton County Area of PA and Warren and Hunterdon Counties of NJ. Feel free to reach out if your in need of a home for your hermit crabs. Willing to drive 20 miles. Near i83 will go down to hunt valley md. I am willing to travel within an hour to an hour and a half radius. Hello! My name is Abrah, and I am located in central PA. 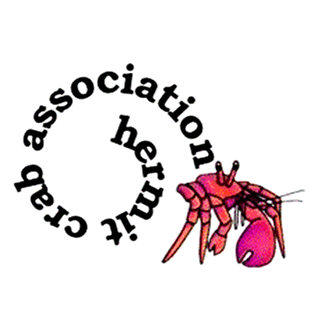 I am more than willing to take in any hermit crabs looking for a home! I have had my current crabs for about 2 1/2 years. I currently have a 55 gallon tank with 5 rescue hermit crabs (5 PPs and 1 E). I believe the current "rule of thumb" is 5 gallons per PP, and 10 per E, so I am able to take 4 more at this time. My crabs have access to fresh and salt water. I monitor their heat and humidity very closely. I make my own food, and feed on a rotating schedule, so my guys have something different every day.